I may be wrong but I'm sure that the sales of songs in the singles charts worldwide are mainly just of that single track not the purchase that includes remixes or extra tracks. One of the great thing about buying CD singles when they were at the height of their sales in the 90's and into the 2000's was the fact that almost every new pop song had two or three remixes included. Of course not all of the remixes were great but there were many classic ones. The remixes of ballads often became great dance songs in their own right. They played on the radio in their original version and in their remixed versions at nightclubs. 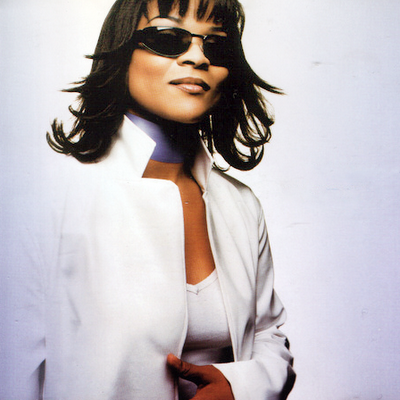 In 2001 Gabrielle had a huge hit with her pop ballad Out of Reach. It got to number 4 in the UK, number 3 here in Ireland and number 1 in Spain. It also got to number 2 in New Zealand and number 9 in Australia making it a worldwide hit. It also featured on the Bridget Jones movie soundtrack. The remix of Out of Reach was the Almighty remix which still sounds good today. Here's both versions. First the video for the original version.